Authorities in Santa Clara County say an inmate was found dead in the common area of a jail after falling from a second-story tier. 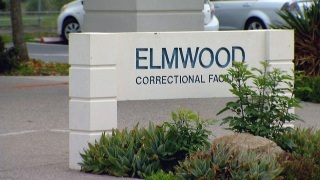 The Santa Clara County Sheriff's Office said Monday deputies found the 48-year-old inmate at 4:48 a.m. Saturday in the housing unit of the Elmwood Correctional Facility in Milpitas. It says that after hearing a loud crash, correctional deputies rushed to the area and found the man with injuries consistent with falling from the second level. The office says staff administered emergency first aid and CPR. An ambulance transported him to a local hospital where he died. It says a preliminary investigation shows the inmate intentionally jumped "with the purpose of taking his own life." The office says sheriff's detectives and the District Attorney's Office are investigating.